The Freedom Space was a specially commissioned installation for the London Design Museum’s ‘Super Contemporary’ exhibition (2009). Centring on a large purpose-built booth forming a key part of the exhibition, the installation focused on surveillance and privacy in the UK, the most surveilled nation in the world. 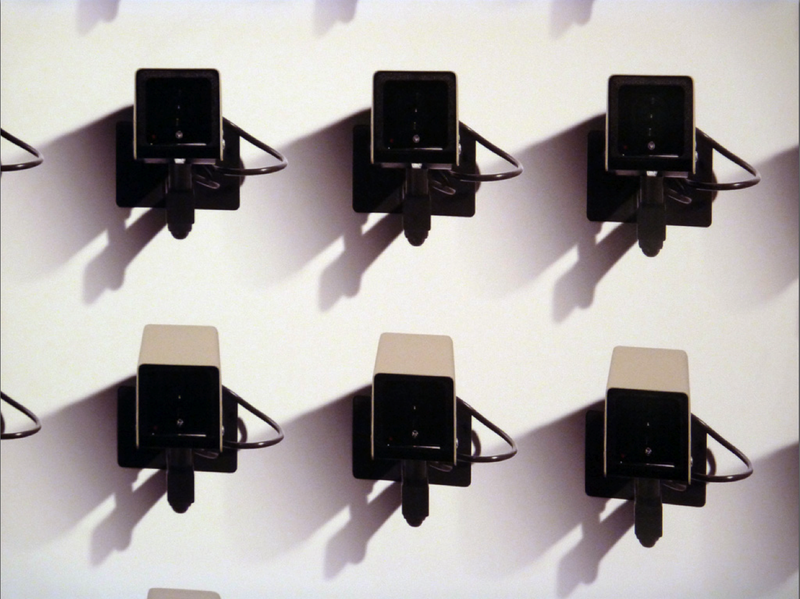 Using critical pieces of research data, the installation revealed the degree of surveillance inherent in modern society by reversing the use of surveillance tools. Initially conceived as a poster entitled Free Me from Freedom for the ‘Embedded Art’ exhibition, Berlin (2009), the research underpinning the installation was presented in public lectures in 2009 and 2010. 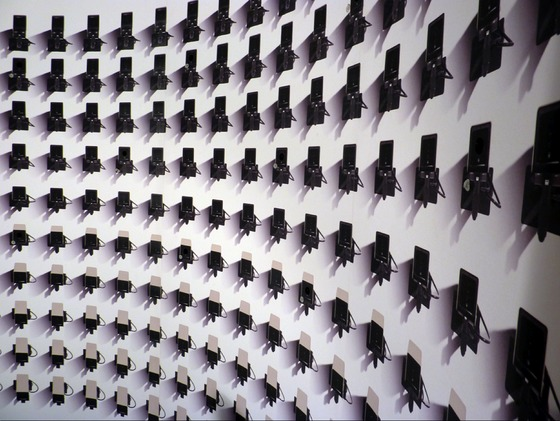 Aesthetica magazine (2009) commented that, ‘Of the commissions Neville Brody’s Freedom Space was really striking, enhancing my awareness of being observed to an unnerving degree’. Documentation of the installation is available at the website www.thefreedomspace.com, which also facilitates debates about the project. A large wall was positioned next to the booth to accumulate written/drawn expressions. This proved to be extremely popular, demonstrating the need to allow more public access to the tools of public communication. Inside the circular booth, 400 cameras were apparently trained on the visitor, highlighting the average daily number of times each Londoner is captured on CCTV. 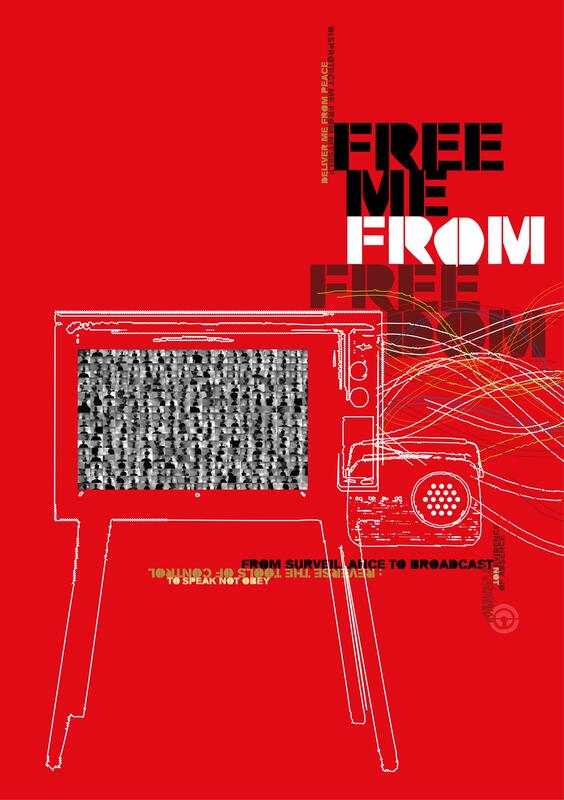 Continuous images recorded by multiple actual cameras concealed within the booth were compiled into a single-screen mosaic in real-time and published on the openly accessible Web-based Freedom TV. A delayed single-screen mosaic was presented on the outside of the booth to allow visitors leaving the installation to bring into consciousness the reality of being surveilled so many times. 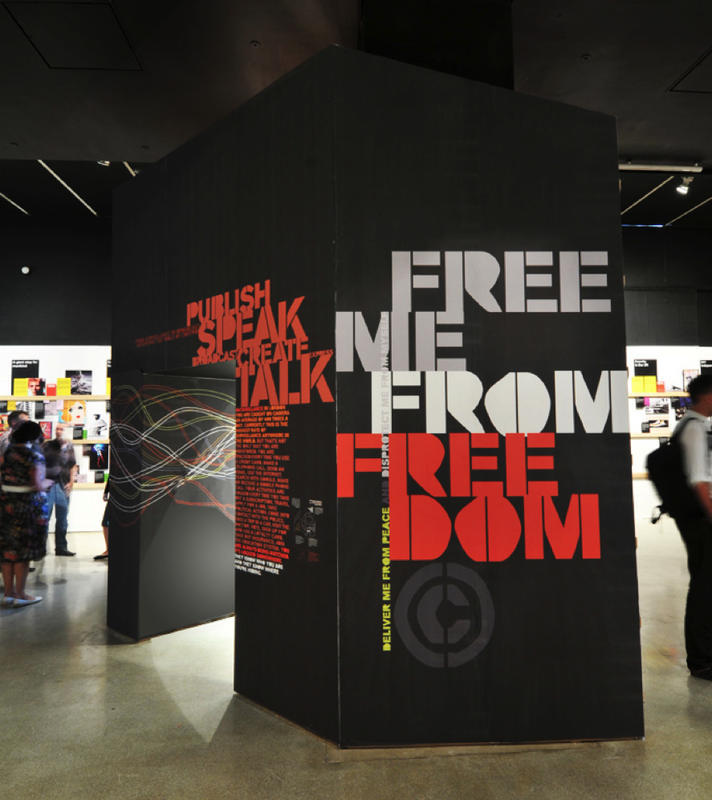 The booth itself was covered with texts amplifying the core narrative. A microphone inside the booth allowed the visitor to broadcast unmoderated online at Freedom Radio, which featured corporate admissions of having secretly recorded customer conversations in public spaces.